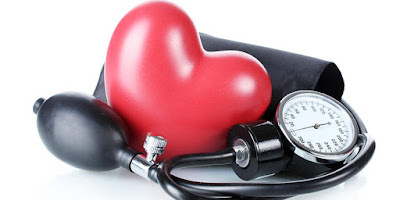 Lifestyle plays an important role in treating your high blood pressure.If you control your blood pressure with a healthy lifestyle, you might avoid, delay or reduce the need for medication.Here are some things you can change to lower your blood pressure and keep it down. You know one of the main region of high blood pressure is overweight. Being overweight also can cause disrupted breathing while you sleep (sleep apnea), which further raises your blood pressure.Losing weight is one of the most effective lifestyle changes for controlling blood pressure. Losing just 10 pounds (4.5 kilograms) can help reduce your blood pressure.So start some workout like walking,cycling,treadmill and reduce your body fat. Eat good live heathy like diet that is rich in whole grains, fruits, vegetables and low-fat dairy products and skimps on saturated fat and cholesterol can lower your blood pressure by up to 14 mm Hg. Use natural herbs or spices to add flavor to your food. Just 1 level teaspoon of salt has 2,300 mg of sodium. In small amounts, it can potentially lower your blood pressure by 2 to 4 mm Hg.Drinking to much amounts of alcohol can actually raise blood pressure by several points. It can also reduce the effectiveness of blood pressure medications. High stress is an important contributor to high blood pressure. Occasional stress also can contribute to high blood pressure if you react to stress by eating unhealthy food, drinking alcohol or smoking. Monitoring can help you keep tabs on your blood pressure, make certain your lifestyle changes are working, and alert you and your doctor to potential health complications. Blood pressure monitors are available widely and without a prescription. Talk your doctor advice about home monitoring before you get started.